Making thin paper isn’t easy. Twin Rivers is one of the few mills in North America that make lightweight publishing papers used in technical applications ranging from Bibles to complex pharmaceutical inserts. How do we do it? Years of experience, technical expertise and a proprietary manufacturing process. Show Through/Strike Through: text or images can be seen through the paper, interfering with readability. Strength: substantial dimensional stability to withstand the rigors of various finishing processes, including multi-folds, die-cutting and bindery. The formulation starts with fiber. Specific fibers can enhance the paper characteristics. Fillers like calcium carbonate, kaolin clay and titanium dioxide are added to the paper to achieve desired characteristics like opacity, brightness and smoothness. However, like everything in papermaking, there are always tradeoffs. Optimizing the right combination of fillers will boost opacity, strength and formation without causing any loss in performance in other areas. 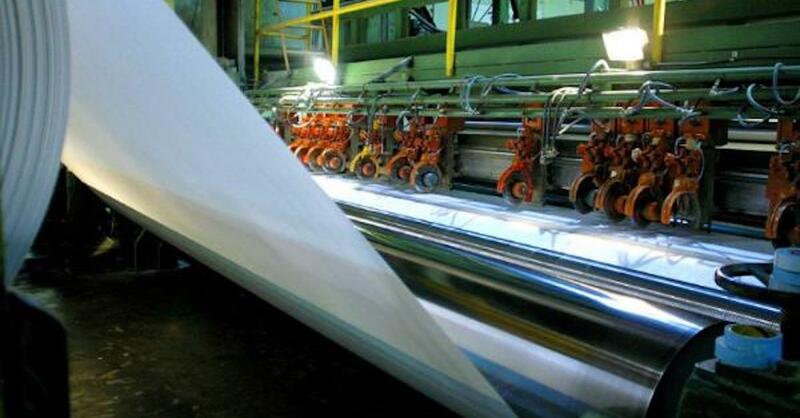 Additionally, paper machines must be configured to optimize the manufacture of lightweight papers. Everything from the size of the paper machine to a process that takes the pulp slurry into the dryers to ultimately transform into paper is carefully calibrated and engineered—and continually modified to make even lighter papers. Lastly, the mill needs to have the capability to run to caliper a measurement of a paper’s thickness expressed in 1/100th of an inch, i.e., .007” thick. The lower the caliper, the thinner the paper and the more pages per inch (PPI), an important measurement for publishing applications with a high page count. Paper manufacturers often run to basis weight, meaning 500 sheets weigh 28 pounds, so the grade is called 28 lb. However, the basis weight can be the same from supplier to supplier, but the thickness can be very different. High-volume applications are the most common use for lightweight papers, making the consistency of thickness (or bulk) critical to the manufacturing process. Aside from on the paper machine, we control caliper with calendar rolls, metal cylinders that compress the fiber and reduce bulk. At this point, the papermakers’ craft comes into play, as too much calendaring can reduce opacity and decrease durability. Making thin papers is a challenging, specialty manufacturing process that requires the right combination of experience and technology.